I was looking at my Fall Trees project and wanted to try a variation. 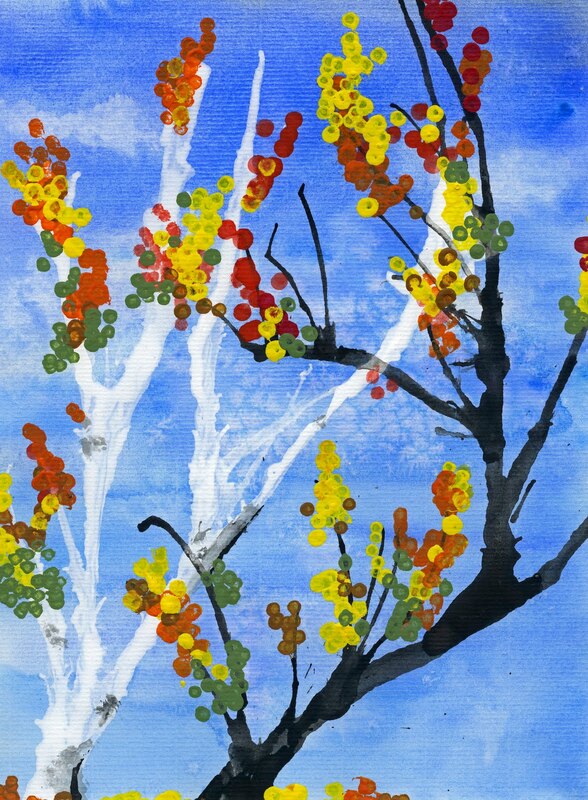 Bright blue sky with vibrantly colored leaves on the trees...this is what we came up with. Ryan, age 10, completed this beauty. We tried white for our tree trunks to look like an aspen or birch but I found it too winter like....( future Jan. project)....so I think we will stick with black. I like to tape off my watercolor paper with painter's masking tape to give me a clean white border on my finished project. It makes for a nice presentation on the bulletin board at school as well. Draw in a horizon line in pencil. For more info on horizon lines see my lesson here. Paint in a sky with watercolor. You want a nice graded wash so I get the kids to first wet the paper with plain water and then add some color. You want it darker on top and fading as it reaches the horizon. While the paint is still wet take a scrunched up kleenex and lift out a few clouds. Paint in the ground on the bottom half of your horizon. I tried a sample without a horizon just sky and it seemed the tree needed the extra color around the trunk of the fallen leaves. Mix up some black paint to an inky consistency (you could also use India ink). Using a paintbrush paint in the beginning of the trunk from the ground. Using an eyedropper (save the ones from liquid medicine) drop in some paint, make a bead of paint on the paper and then have the kids blow the bead into the rest of the trunk and the branches. 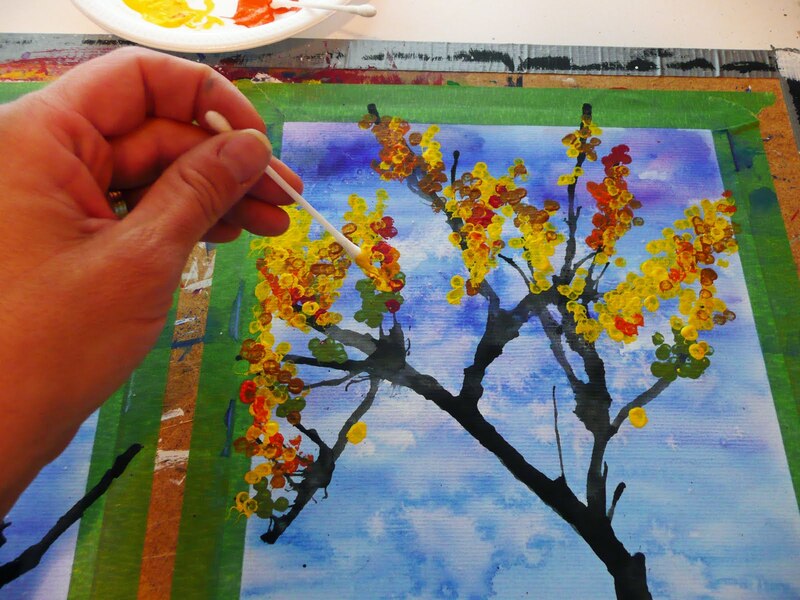 Continue to add paint where a branch is needed and continue blowing until you are happy with your tree. Dab into acrylic or liquid tempera with cotton swabs and add leaves to your trees. Include some fallen leaves on the ground. Less tends to be more in this case. You don't want to overdue and lose the branch detail on your trees. Here is Jeff's, age 7, version. I plan on doing these with Grade 2. Take care and we will be back with more art adventures soon! UPDATE: Here are the Fall Trees (version 2) that the Grade 2's completed this week in time for Parent/Teacher interviews! Click on to see larger if you wish. Great job Grade 2! These look great! I think my kids would love it, but they're really young. Maybe I'll do the background and trees for them and then let them fill in the leaves. Those are gorgeous! What a great effect from the Qtips! wow. again. think we need this art project today. Love this fall look. So colorful and fun! Wow! What a beautiful art project. I want to try this in my homeschool. My kids will like the results. Loved this Art Project! We did it and it was lots of fun! Thank You! I used to do this project years ago but had forgotten all about it. Can't wait to have my students try "blowing" their fall trees again! Thanks for the inspiration!! so great to be reminded of the simple things that can be so much fun! 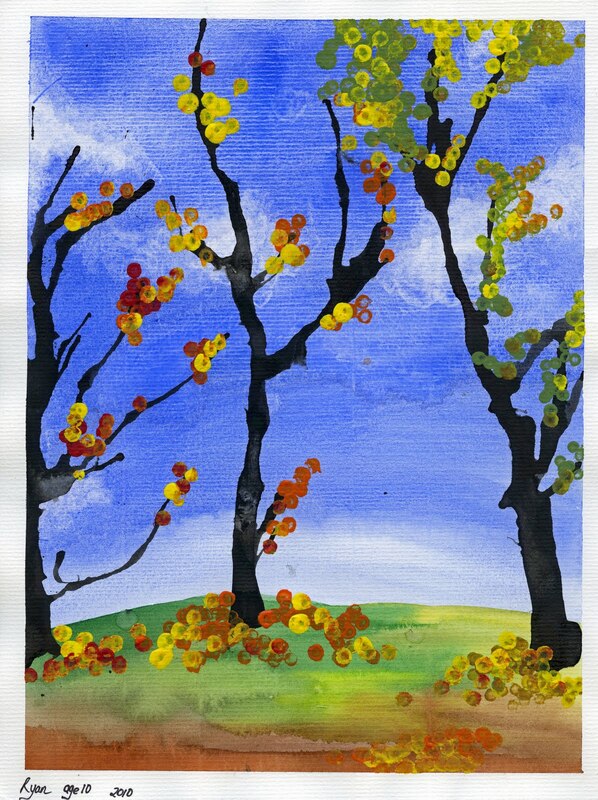 i tried this with three and five year olds - the trees came out quite blobby and the land and sky seemed to be everywhere, but they had tons of fun, LOVED dotting the leaves and leaf piles at the bottom of the trees. we'll do this again soon only with random color blobs and shorter straws for fun. thanks! Thanks again! Hope everyone gets a chance to make some beautiful Fall Trees. Grade 2 was able to get this finished this week and up on the bulletion board in time for Parent/Taecher interviews. I'll try to update this post with the photos. Thank you! Doing this with 4th and 6th grades today. 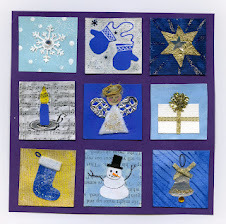 Hope I have enough time for the background to dry before the tree gets started....we only have an hour. I absolutely love your site! 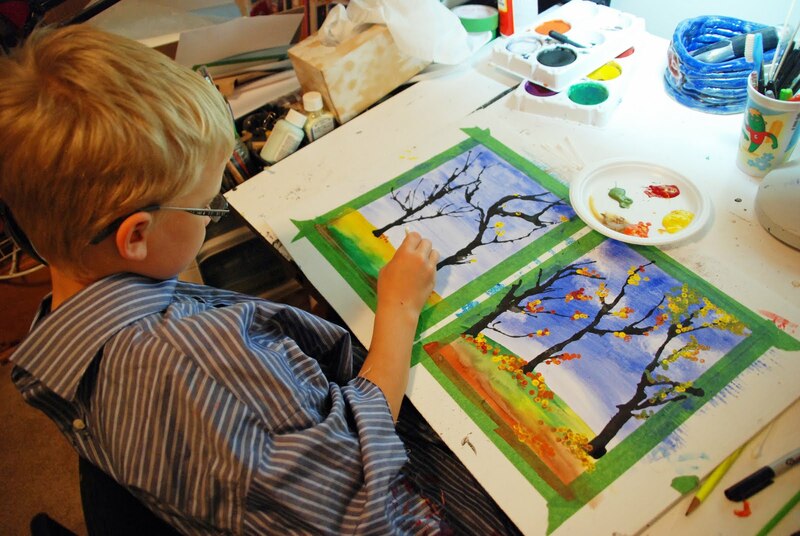 I like how these art projects are a little more involved for kids. It's not the simple apple or potato paint printing that I see all the time. 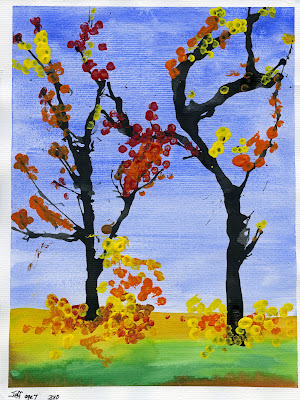 Even my three year old could create this tree art (with supervision). You are teaching kids to paint. 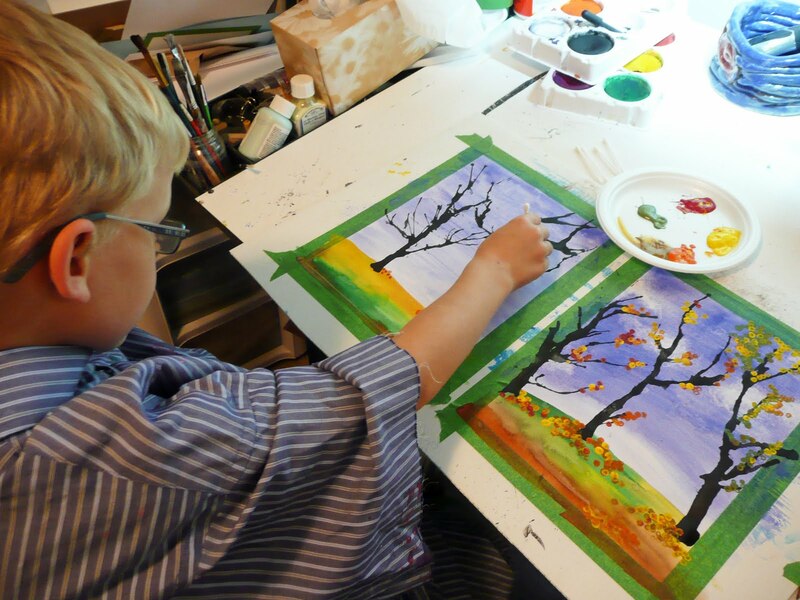 I loved watercolor when I went to art school. I didn't keep it up but you have inspired me to pick up a paint brush again with my girls. This tree project is the one we are going to try in the next week or two. I can't wait! 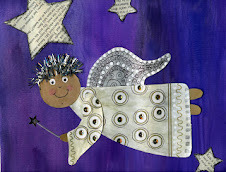 I gave you a little love over at my blog this weekend too. Thanks for much for the inspiration! I can't wait to try this once the leaves start falling off the trees here. I think my kids will love it. Heck, I think I am going to love it! Oh this is wonderful! Thank you so much for posting this project. We'll try it next week in class. How do you get the white mixed in with the blue sky? Hey Anonymous, Thanks for pointing out that obmission in the post. To get the white clouds lift out some "clouds" using a scrunched up kleenex while the sky is still wet. I tried this with my kids but my black acrylic paint was too thick for the eyedropper and water didn't help. Do I need to buy India ink or what black paint did you use? 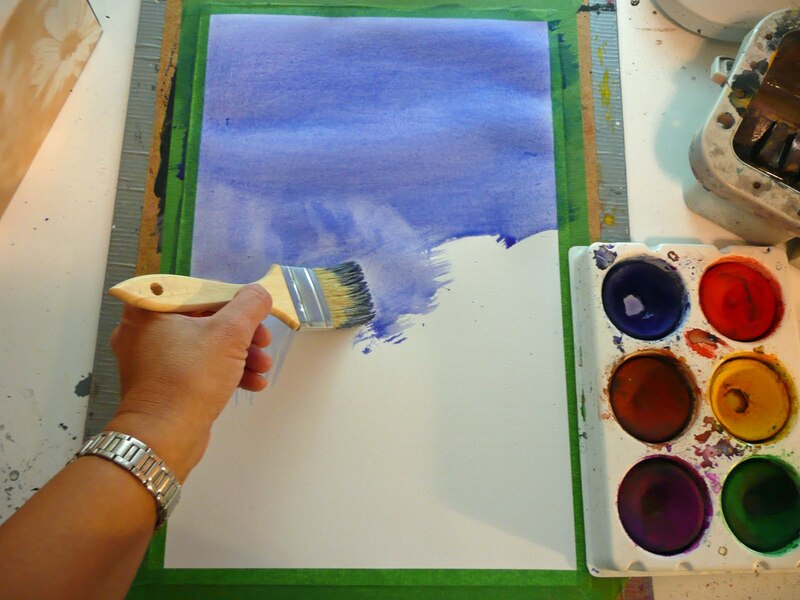 Are you using acrylic paint from a tube? I usually don't have a problem. I often use tempera disk paint, mix up with water, getting that nice inky viscosity. 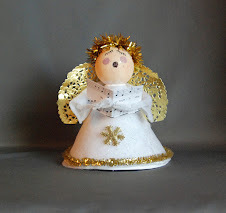 I have also used acrylic craft paint from the bottle, again I water it down. I squeeze some on a disposable plate or cup and add water until it is very thin. So sorry this isn't working for you. This may sound like a silly question, but do you drop the ink into the straw or onto the paper? It's not a silly question and I'll change the post to make it more clear. 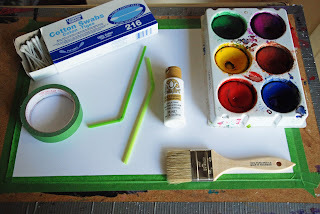 Drop the ink/paint onto the paper, you make a bead of paint and then use the straw to blow the ink/paint up into the branches.Good luck with the project. Lovely,lovely lovely..... going to have my daughter paint this for her teacher as teacher appreciation gift.. you have described everything so well. Thanks for sharing! My class loved it! 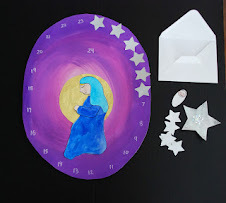 Hi, I was wondering how long this art project took to do with the kids? 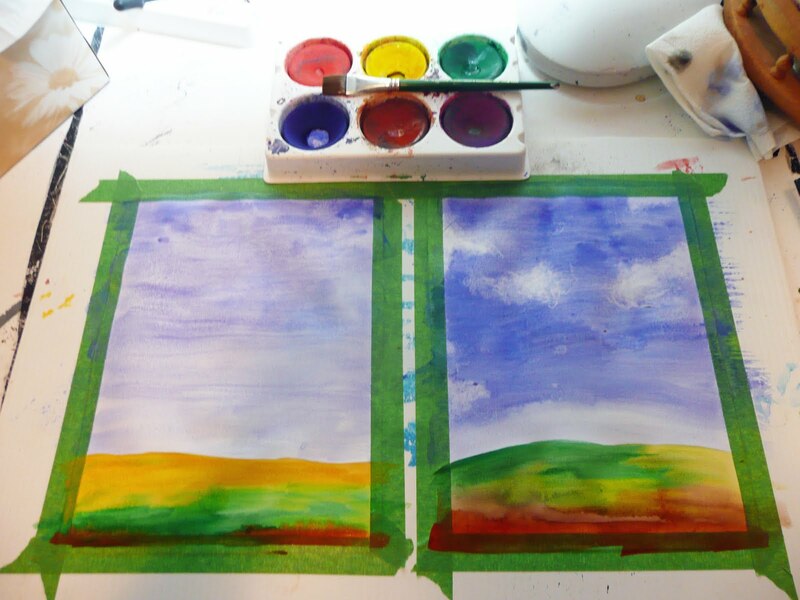 At school we do the sky and horizon in a quick painting session, usually at the tail end of another art class. That has to dry before we can blow the tree. The straw blown tree takes about 20 minutes after a demo from me and a chance to practice on scrap paper. If possible it helps to have a volunteer or 2 to assist the kids with dropping the paint and helping them get the straw angled correctly. Biggest hurdle tend to be kids blowing straight down on the paint instead of angling to follow the bead. The q-tip leaves take 15 minutes or so once you have handed out those fall colours. You can let the tree dry first but I have done it straight away as well.